Veterinary Euthanasia Techniques: A Practical Guide provides detailed guidance on euthanasia procedures in a wide variety of species, including dogs, cats, exotics, horses, and production animals. 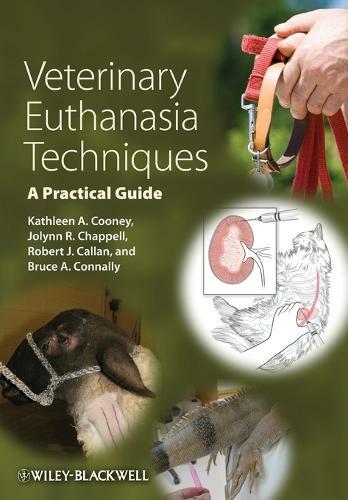 Based on the current AVMA guidelines, the book offers step-by-step descriptions of the recommended methods of euthanasia, giving all the information needed to perform these techniques with confidence. Veterinary Euthanasia Techniques helps practitioners, students, and technicians expand their knowledge base and provide competent, compassionate euthanasia services. Including information on client considerations, equipment, positioning, sedation, and aftercare, the focus of the book is on providing detailed procedures for correctly performing euthanasia. Veterinary Euthanasia Techniques presents complete information on euthanasia, offering specific advice to improve skills and aid in decision making.